We’re in the month of February, and that only means Samsung will be unveiling its Galaxy S10 range at its Unpacked event, which will kick off on the 20th of this month. As the unveiling date draws closer, readers will get to see a lot of certifications for these devices and these will be seen as an approval to be sold in a certain region. According to the latest FCC certification, all Galaxy S10 models have been approved to be sold in the U.S., which also suggests that Samsung might be releasing all three variants in the country real soon. 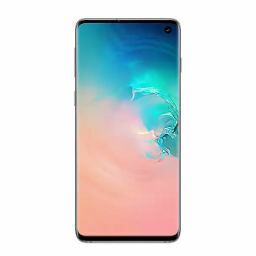 Apart from Wi-Fi 6, Samsung’s Galaxy S10 range will also provide support for Bluetooth LE, NFC and MST. Support for LTE will be included for all major carriers, meaning that none of these devices will get 5G support. However, if you recall, Samsung is preparing a fourth variant that will come with a 5G modem, but it will be limited to certain markets, such as the U.S. and Korea. The variant in question is rumored to feature a massive 6.7-inch screen plus a generous 5000mAh battery. Since Samsung will be launching the 5G-ready model a little later, we’ll most likely get to see its FCC certification down the road. The filing also reveals a feature titled ‘Wireless Power Transfer’. Since all Galaxy S10 models will get Qi wireless charging support, all three handsets might also reverse charge other handsets, like the Mate 20 Pro is able to do. We’ll have to see how useful the feature truly is, because all three devices don’t sport gargantuan batteries, so as a result, users might not find much use for this feature. In any case, if you want to properly provide juice to other smartphones through reverse wireless charging, it is recommended that you purchase a separate battery case for your Galaxy S10 model so you have ample capacity for your own device. 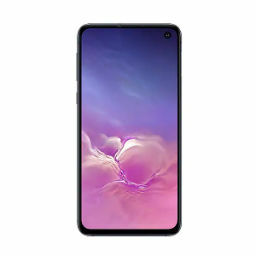 As for which model should you end up purchasing, leaked EU pricing details of the Galaxy S10E, Galaxy S10 and Galaxy 10 Plus showed that these phones are far from affordable; even the cheapest variant will set you back by quite a bit. It is recommended that you conduct thorough research before picking out which model you want. Of course, if you need the additional help, we’ll be highlighting the key differences between the Galaxy S10E, Galaxy S10, and the Galaxy S10 Plus, so stay tuned for more coverage from our side.